Hello from snowy Georgia, my friends!! Yes! For the first time since something like 1882, we had a beautiful white Christmas down here in the peach state. Somehow or another (it must have been the eggnog), I didn't end up taking any pictures of the snow. But here's one shot of me and my sisters right as the snow started falling, on Christmas night. All ya gotta do is paint away to your heart's desire! 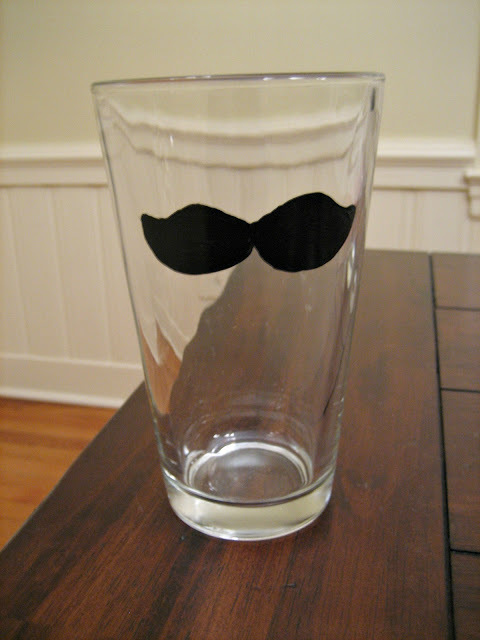 I used an enamel-based glass paint, so after I made a masterpiece out of each glass, I let the paint dry for about an hour. Then, I threw the glasses on a cookie sheet and put them in my **room temperature oven at 350 degrees for about thirty minutes. **HINT: don't put the glasses into a hot oven!! They would blow up or something and that would be bad news! I fell in love with Jen's monogram project as soon as I read this post. My mom absolutely loves funky things scattered throughout her house, so I just knew she'd love her initial done up moss-style. Essentially, this project just takes a whole lotta glue-gunning (hence the need for episodes of RHBH). And slowly but surely... voila! I hung it up on my wall before giving it to my madre, just for an idea of how it would look in her house. Cute, right?! I might need to make myself one of these! And mom loved it, which is what matters most-est. It's already on her living room bookshelf! So there are two of my copycat Christmas gifts. Great ideas, aren't they?! check out Megan's Silouhette giveaway! 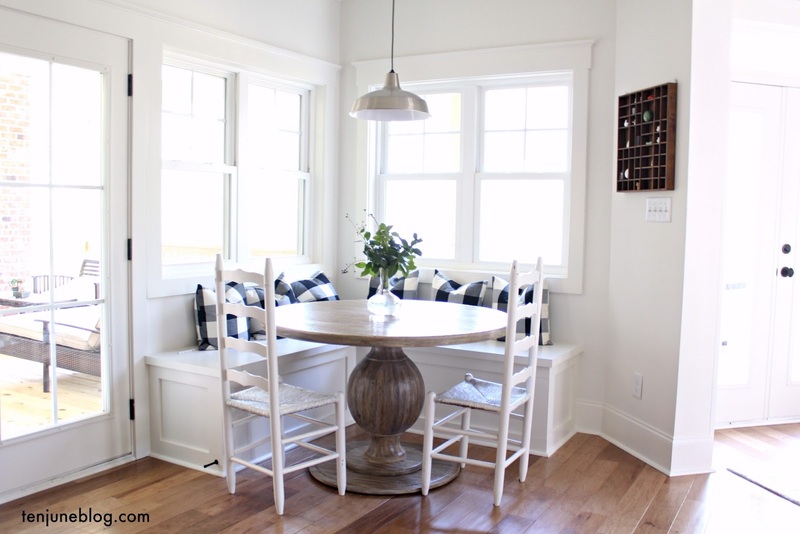 And a shout out to Remodelaholic, who is featuring my living room redo today!! That was one of my first posts so I think its fun that its giving some love! :) Thanks, Cassity! I just stumbled across your blog and I LOVE it!! The gift ideas are so cute. so so so cute!!!! love both projects! and a lot of times, buying all that stuff from the craft store is more $$ than just buying a generic gift. Your gifts are awesome! and you're right...those are mad mustache making skillz! I think mine would look like something the dog left behind. So cute, girl! I am so proud of you. lots of time and effort goes into those. The letter is just too cute. I am excited about the paint . . might have to whip up some countdown glasses! :) And very envious of your white Christmas. That G is so nice! Great job. Good for you! I saw sooo many great ideas, but just never found the time...maybe next year. Loved the snow!! 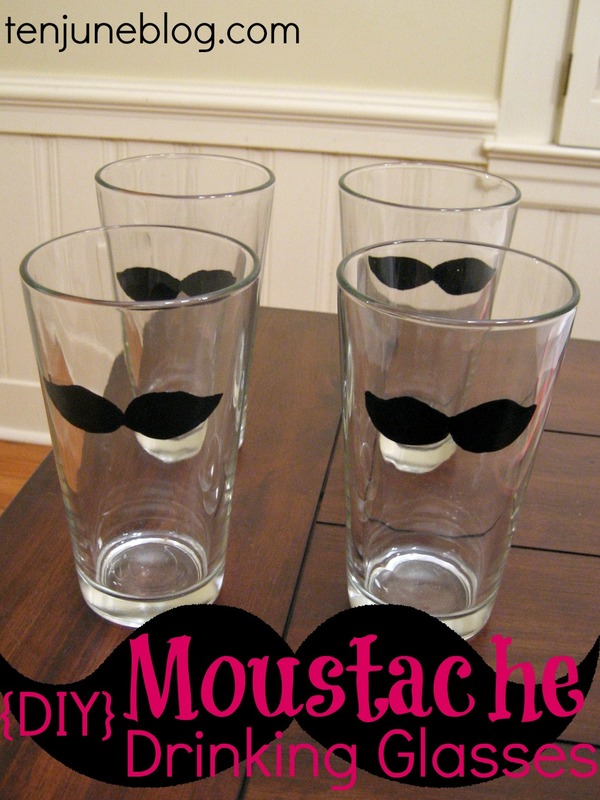 Those mustache glasses are amazing! Such a fun gift. How fun! Your glasses turned out so great!! 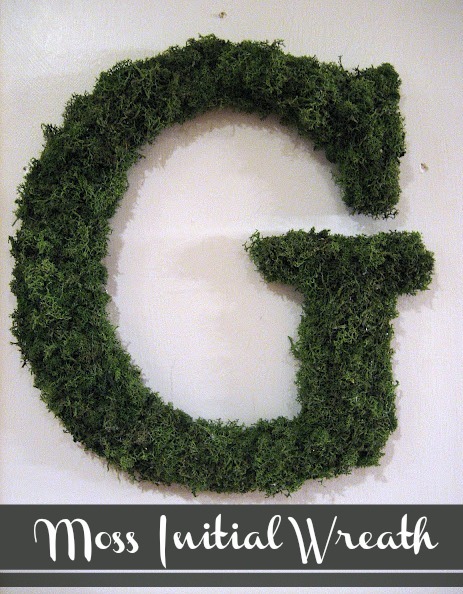 And I love that moss initial. So cool! I'm so honored to be featured on your fantastic blog!!! I'm lovin the mustache glasses! Have a great day & Thanks again! Both of those are great projects! I think I am going to make the moss one tonight with my Mom! I think it would look great in my bathroom! All the best over the holidays! I ADORE your glasses! So cool! Love the glasses! They are so cute and so much fun! Good for you for making all of those! I always have the best intentions and they never get done! I love the glass.. filing that idea away! new follower here! :) so glad i found your blog!